The five-time Drivers’ and Constructors’ title-winners will run a brand new power unit in 2019 to improve efficiency. Lewis Hamilton and Valtteri Bottas will be tasked with cementing the Silver Arrows’ place in the history books, as the team look to be the first in Formula 1 history to claim six-straight Drivers’ and Constructors’ doubles. 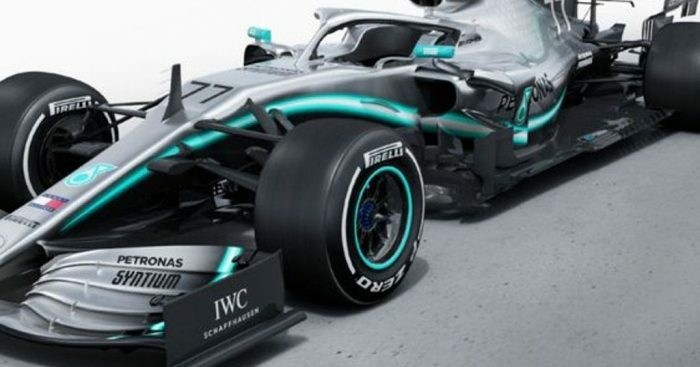 Mercedes launched their 2019 challenger – the W10 – on 13 February, but nobody at Brackley are resting on their laurels ahead of the new season. “We’ve made changes to the cooling architecture of the power unit,” Andy Cowell, Mercedes’ Managing Director of Performance Powertrains to the official F1 website, “which hopefully provide aerodynamic benefit on the car and also provide efficiency benefit on the power unit – so hopefully a win on both the chassis and on the power unit. “Right at the heart of the power unit is the conversion of fuel into heat release in the combustion chamber and useful work out of the crankshaft. We have made steps on the combustion efficiency and on the [energy recovery system]. The W09’s tendency to be harsh on its rear tyres proved one of the few weaknesses in Mercedes’ 2018 campaign, but technical director James Allison hopes their suspension and aerodynamic work will ease that issue. “The handling of the W09 was a big improvement over the rather idiosyncratic W08,” said Allison. “We managed to be competitive at tracks which had plagued us in recent years. However, notwithstanding this improvement, we were still not as good as some of our competitors at preserving the performance of the rear tyres. The team won’t have to wait too much longer to put the W10 through its paces, with testing at the Circuit de Barcelona-Catalunya beginning next week.